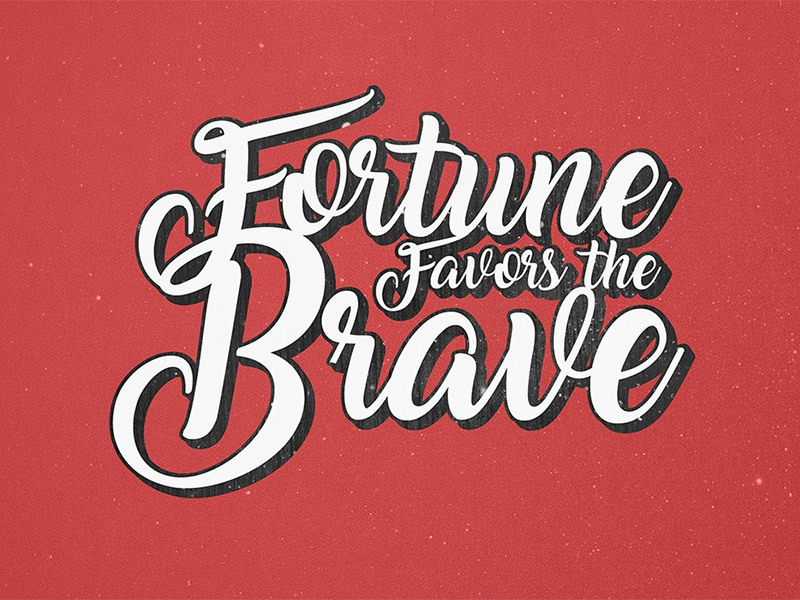 If you’re looking to quickly add a distressed or old-school vibe to your lettering work, there are a lot of quality vintage text effects you can apply to your designs. Whether you need ink textures, grunge effects, 3D type, a letterpress look, or more… As always, we’ll be adding to this list regularly, so if we’ve missed your favorite let us know in the comments below. 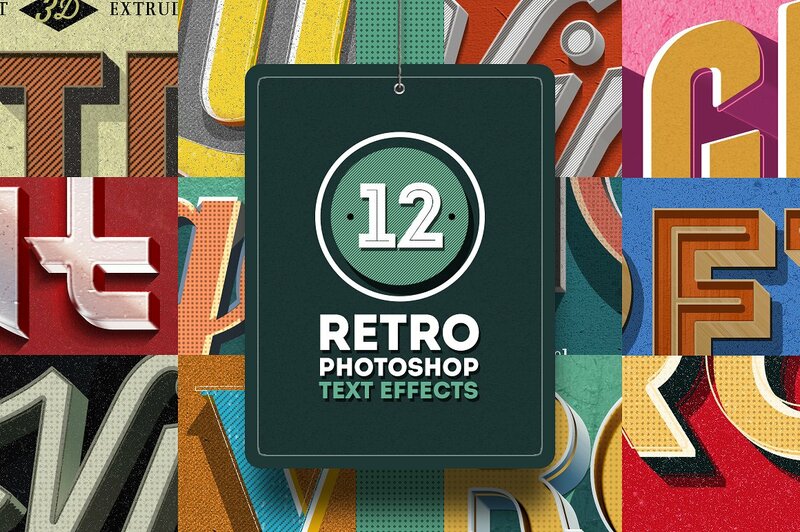 In this post we gathered some amazing 30+ Vintage Text Effects for Illustrator and Photoshop. Read on for our selection and Enjoy! 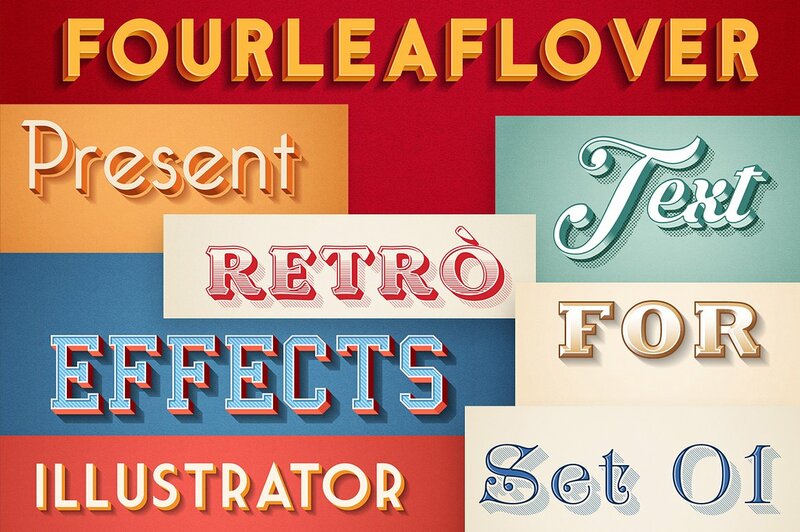 The layer styles here use smart objects to let you work non-destructively in Photoshop, giving you a quick and easy way to add retro text effects to your illustrations. All you have to do is paste your work onto a layer and the effects are added like magic. If you edit the source file, your changes will automatically be made across the entire PSD. These 2 Photoshop effects are so engaging and quality that a choosy artist will not let them pass by. 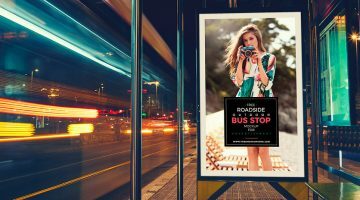 And with the Smart Layers the customization becomes so simple and smooth, that an eye-popping poster, card or anything else is not a problem — even for a newbie! 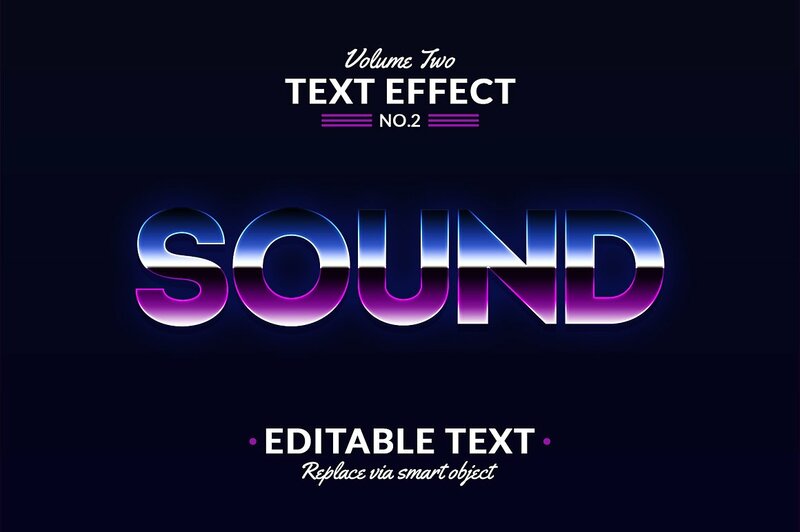 Photoshop Text Effects Volume 2 – This awesome graphic resource gives you a quick and easy possibility to create a wonderful effect of different styles in just a few seconds. 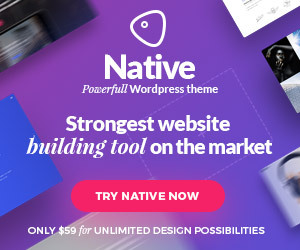 Use it to create a great posters, flyers, banners, Facebook timelines and more. Very easy to use. Replace the text in seconds via smart object layers. Open the file, open the smart object layer, change the text, save and you are done! It takes 10 seconds! Works with text, vector shapes or other images. You can find more info on how it works in the help file included. 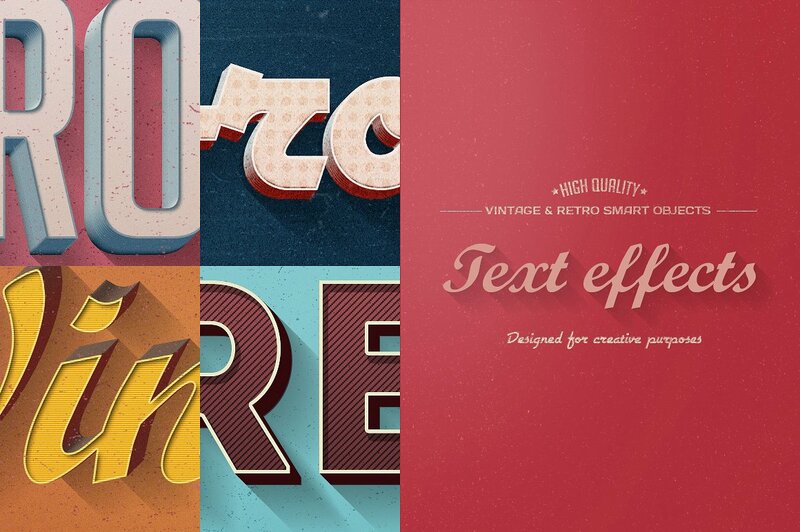 Typographic text effect you can use to achieve the same result for your vintage poster design. The effect uses textures and subtle 3D depth on the text to illustrate your poster or flyer design, or card design for instance. 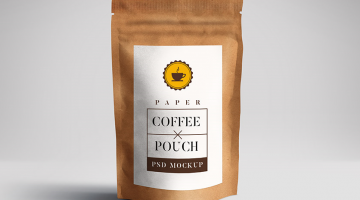 Just simply drag and drop your typographic design and save. You can change the colors of the text, 3D depth and background to suit your need. 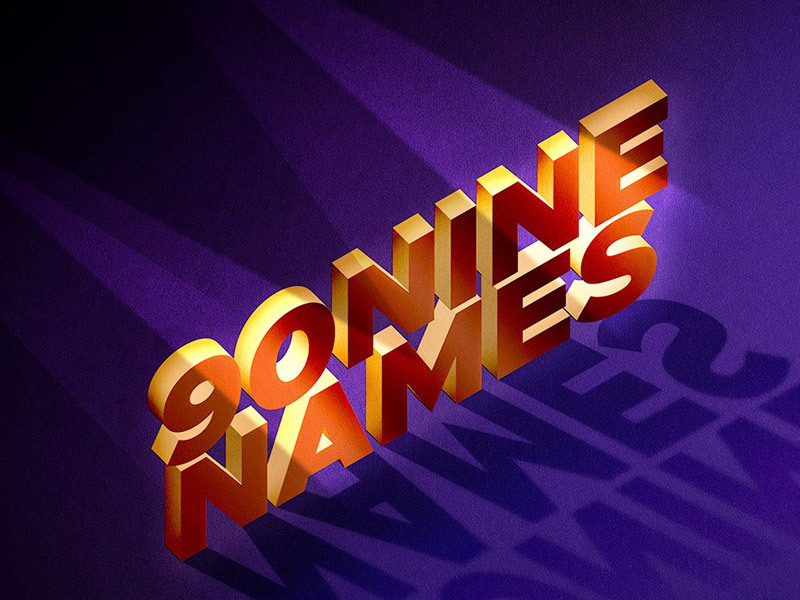 Beautiful and original 3D PSD text effect called 90Nine. Apply this effect to your regular text to boost creative depth and make it stand out. 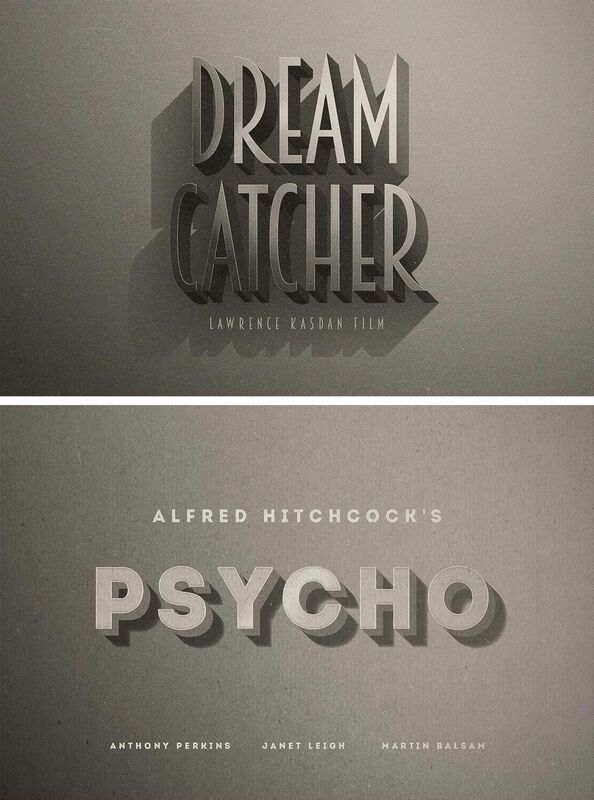 The text effect is ideal for posters, movie titles, typographic quotes, headers and bold titles. Adding your own text is easy. Just double click the smart-object layer and add your own text or graphic. You can also change the background color, text color and the 3D depth color. 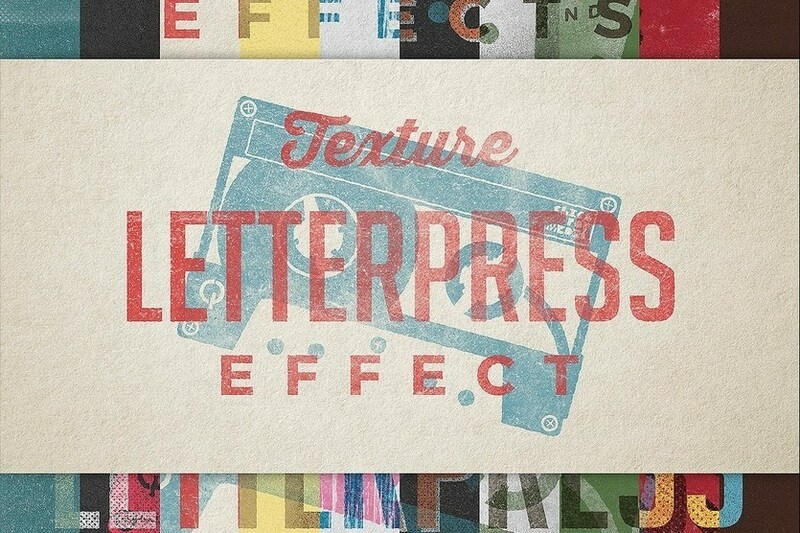 6 Vintage Letterpress Text Effects well suited to vintage typography to your design projects. 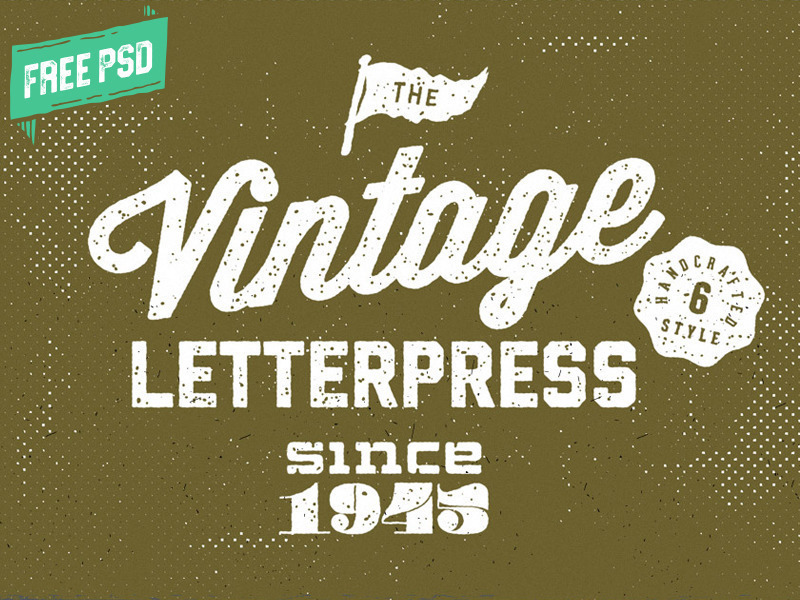 This graphic resource gives you a quick & easy possibility to apply an high quality retro / vintage letterpress style to your design. You can use it on simple text, shapes and vector logo. 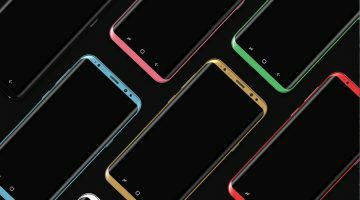 You just need to replace them into the smart object of your favorite style included. There is also 10 high quality textures in each file to add more details to the design. Enjoy! 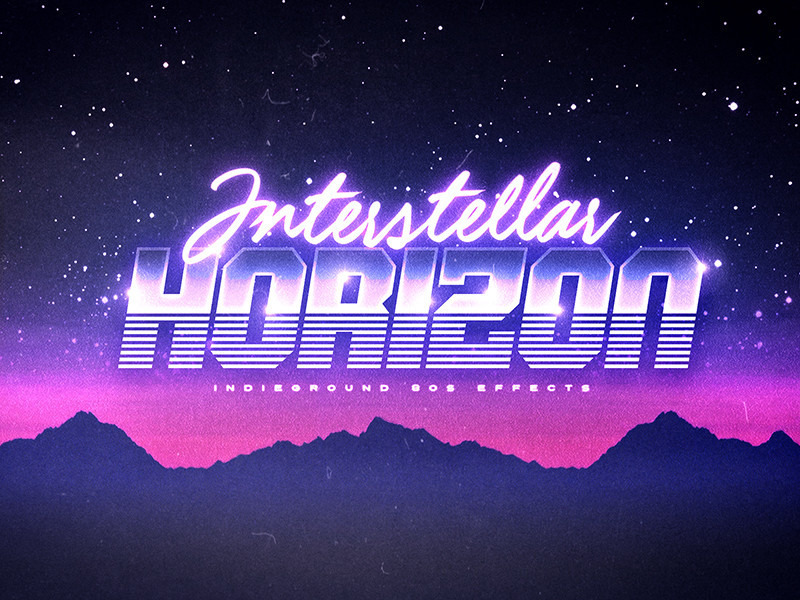 Interstellar Horizon “10 Photoshop 1980’s Retro Effects” – This graphic resource gives you a quick & easy possibility to apply an high quality retro / vintage / futuristic / 80s classic style to your text. You can use it on simple text, shapes and vector logo. You just need to replace them into the smart object of your favourite style included. 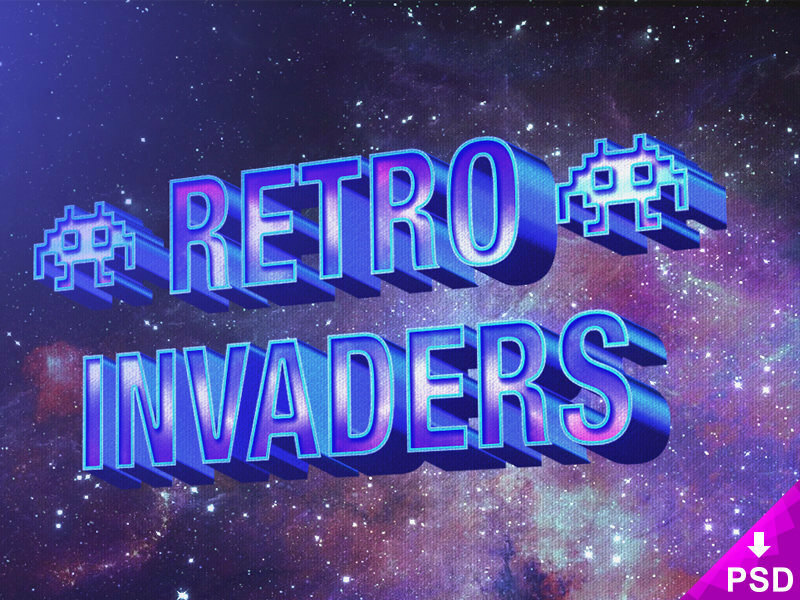 Create a great poster or flyer, a facebook cover, a magazine title or a website banner and give them the rad 1980s touch. 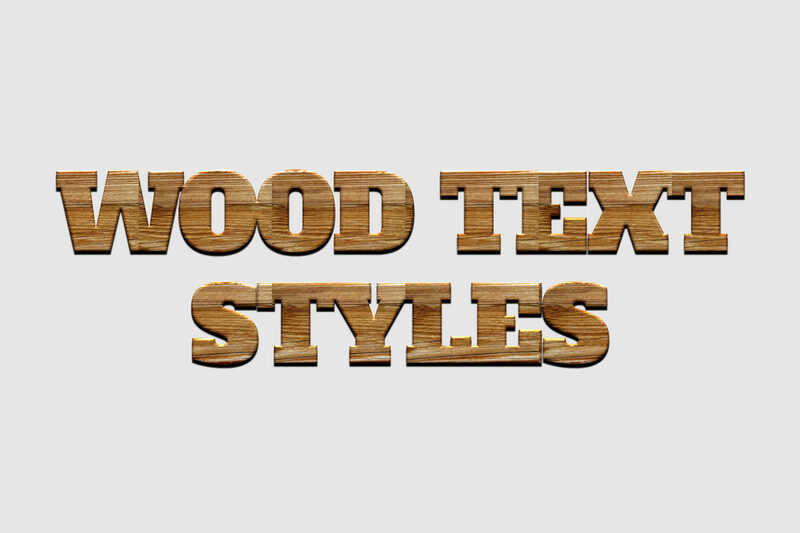 Free Wood Text Styles is a made to help you create easy text effects and it can produce effect more perfect and interesting for your text, all style effects work only with one click. 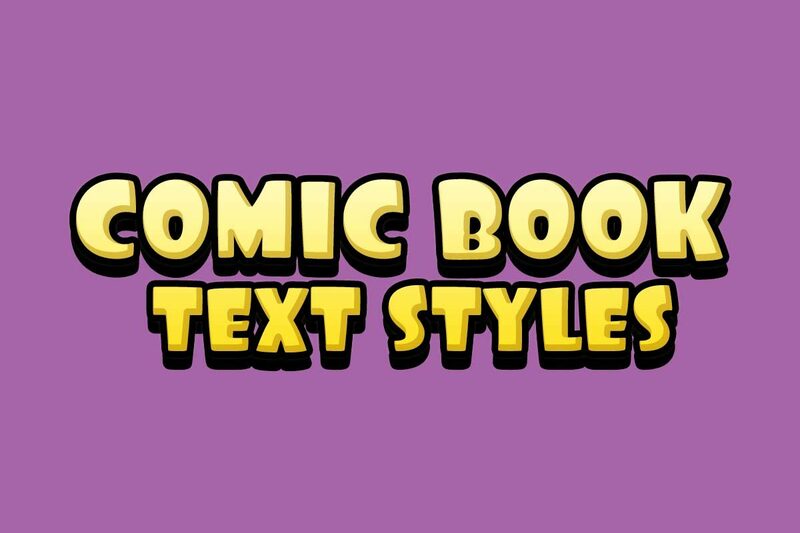 Free Comic Book Text Styles for your creative projects. Turn your text/artwork, design into vintage and Comic look just by one click! 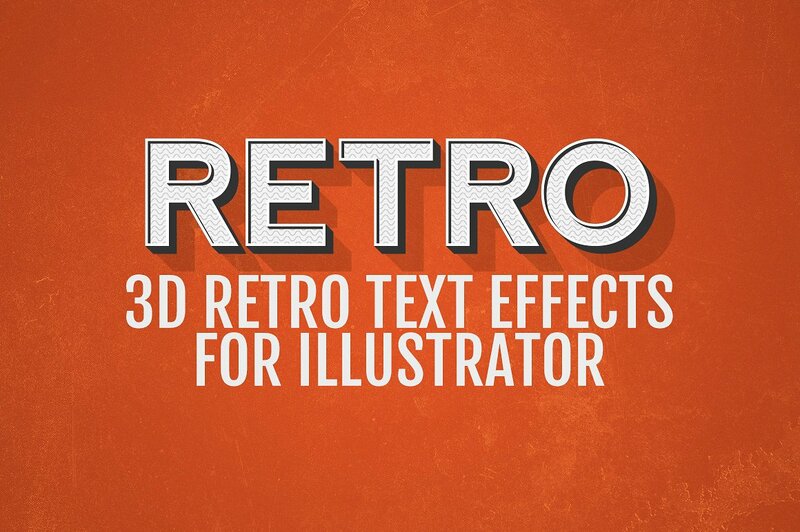 These vector 3D retro effects can be applied to any layer in Illustrator to make your typography instantly ‘pop’. Included are 8 unique effects supplied as Graphic Styles, updating the colours is simple using the ‘Appearance’ pane and to scale the effect just ensure that ‘Scale Strokes & Effects’ is checked in Illustrators general preferences. These effects are only compatible with Adobe Illustrator CS4 or higher. 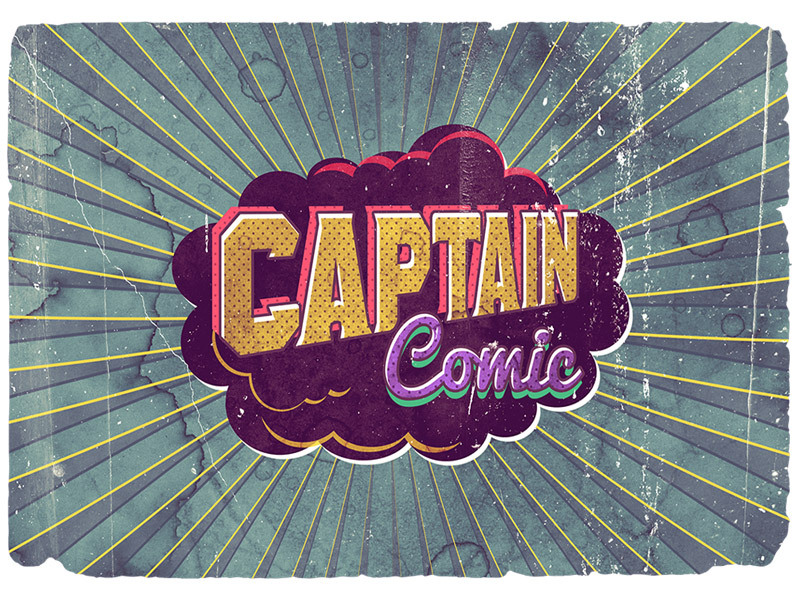 This is a fully or completely editable PSD file of vintage poster comic text effect that you can use to create retro old poster designs or text effects. 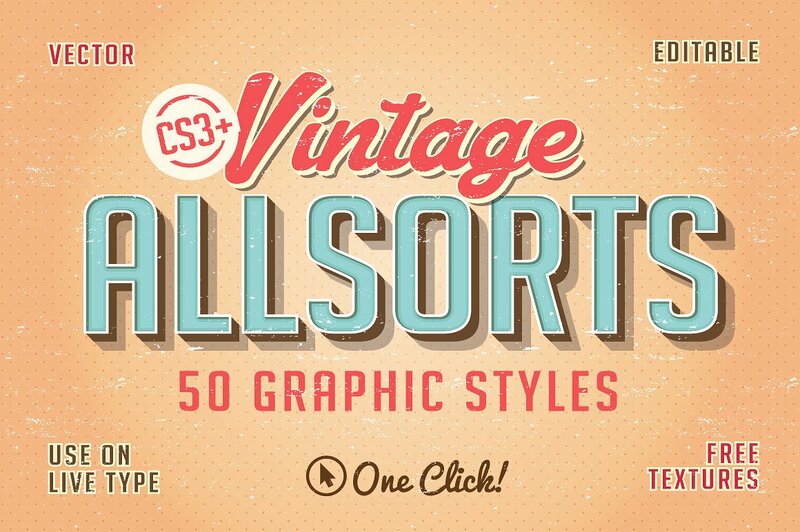 Highly useful for vintage or retro poster and flyer designs. 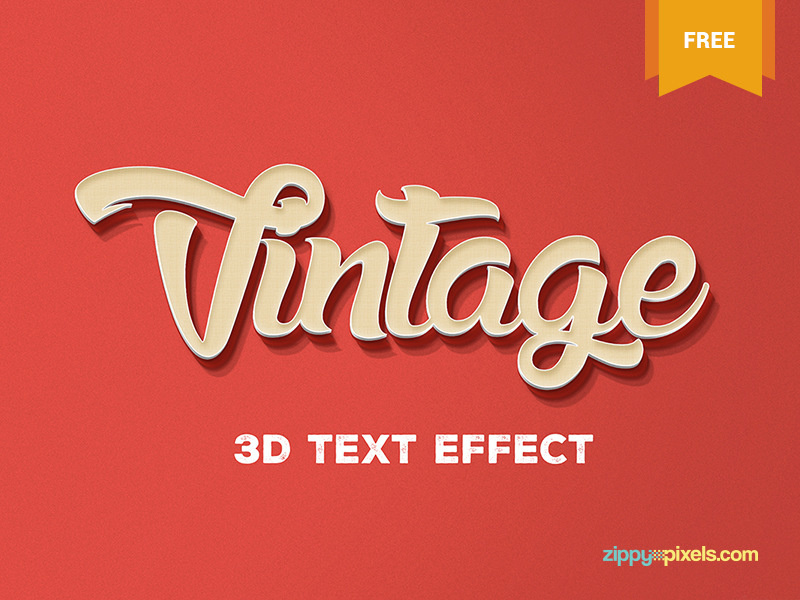 A free and original 3d text effect that you can use to add some vintage flair to any plain text. 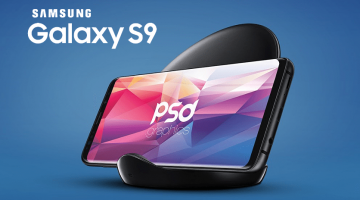 Just open the smart object, type in the text apply the changes and you’re ready to dazzle. 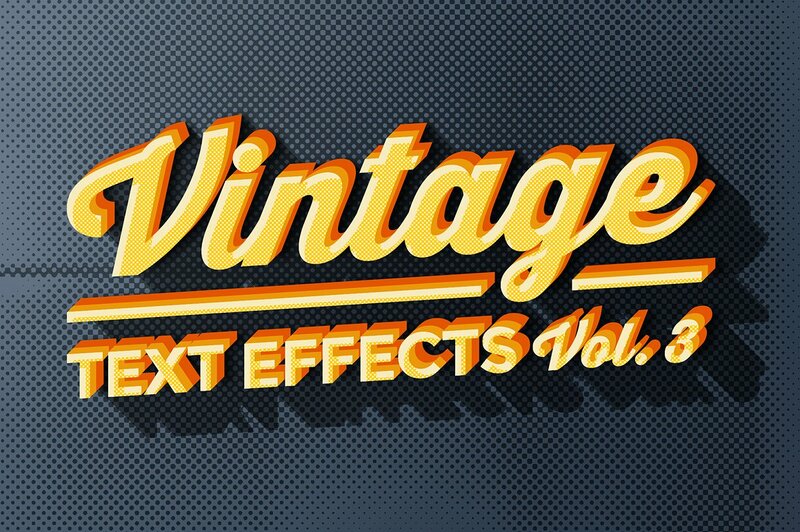 If you’re looking for a nostalgic vintage text effect, try this free smart PSD from GraphicsFuel. With an old-school signage feel, it’s idea for breathing life into boring headline text. 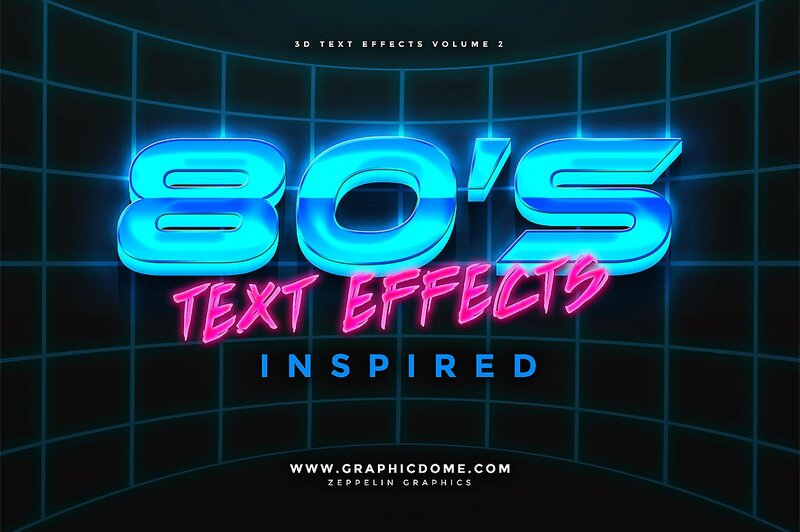 Change your plain text or logo to retro, space, 80s inspired, edgy, high-quality effects. They’re so easy to use because they’re all one-click layer styles. They look great on banners, posters, flyers, invitations, in all kinds of presentations and templates, you name it. 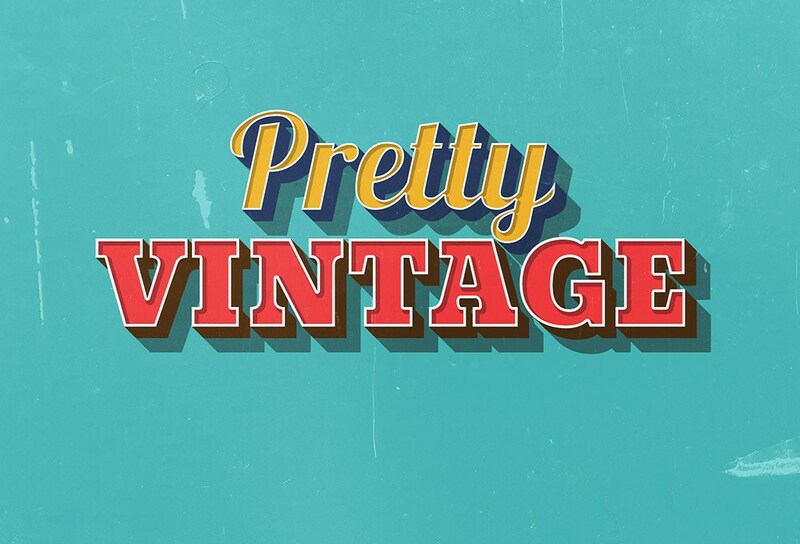 High quality Vintage/Retro text effects. 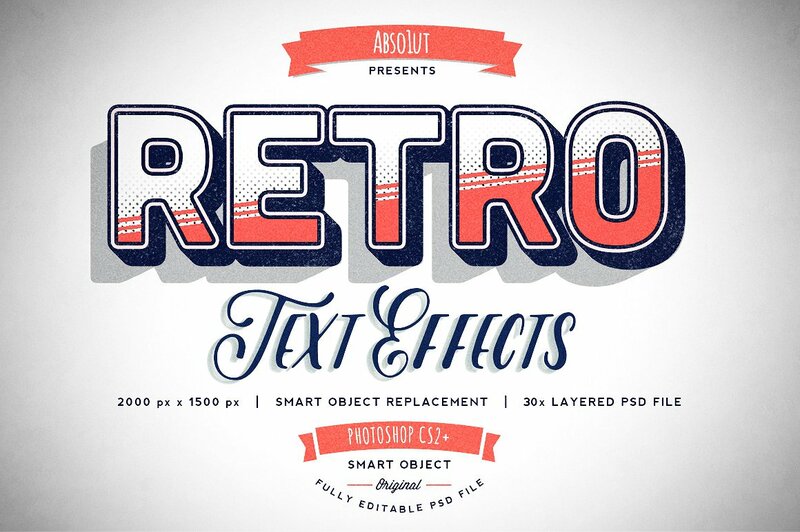 Give your text with a great 3d retro/vintage look with these smart object PSD files. Links for the free fonts are included in the readme file. 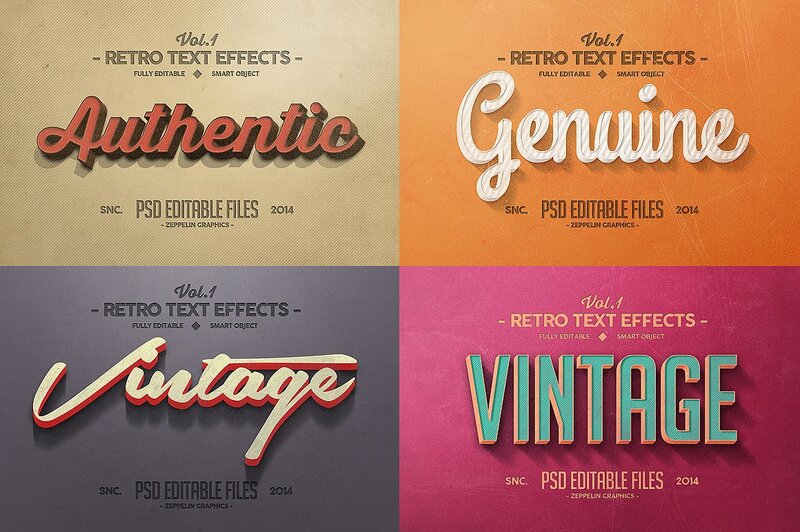 Create a stunning titles using this pack of 10 vintage titles effect. 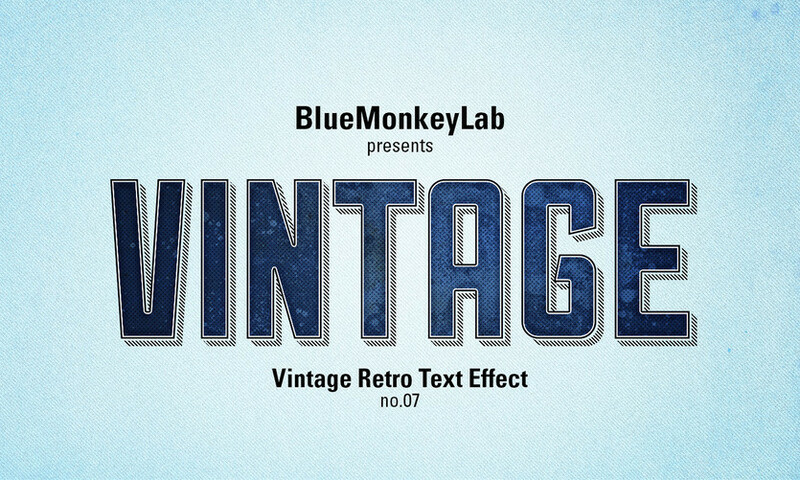 Create a wonderful effect of vintage retro style in a few seconds using this simple and easy graphic resource. 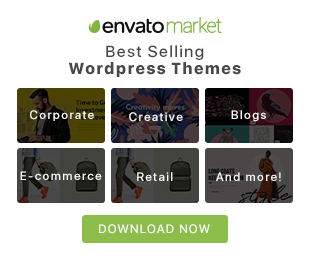 Use it to create a great posters, flyers, banners, facebook timelines and more. 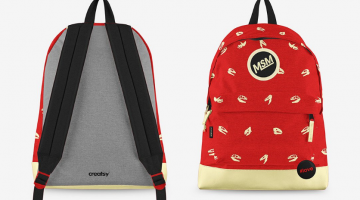 All you have to do is to “Edit content” and paste your design in smart objects. Help File is Inside This Package. 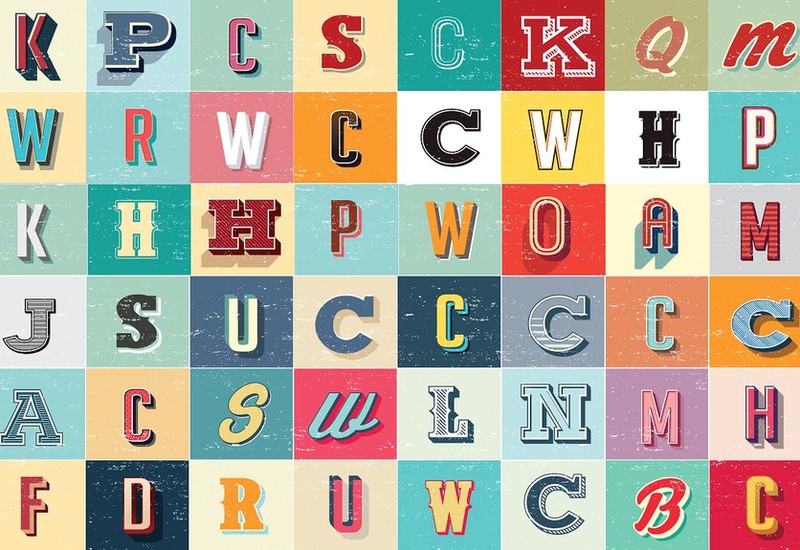 Graphic Styles work in illustrator like photoshop layer styles – but vector! Works on live text, no need to expand text first or run an action – just apply the graphic style to your type object and edit the text as needed. Great for last minute client changes! 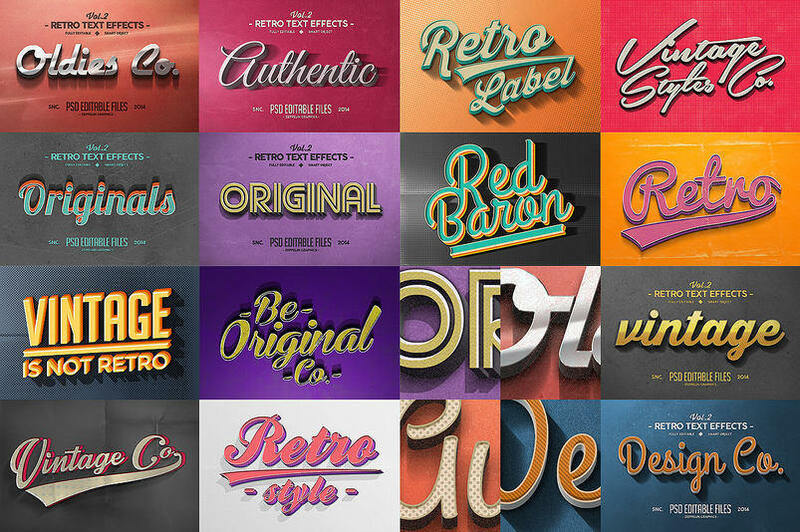 Load the Allsorts Graphic Style Library, and you will have a palette of 50 graphic styles ready to apply. Includes 3 free tilable vector grunge textures – as graphic styles and included in your swatch palette. 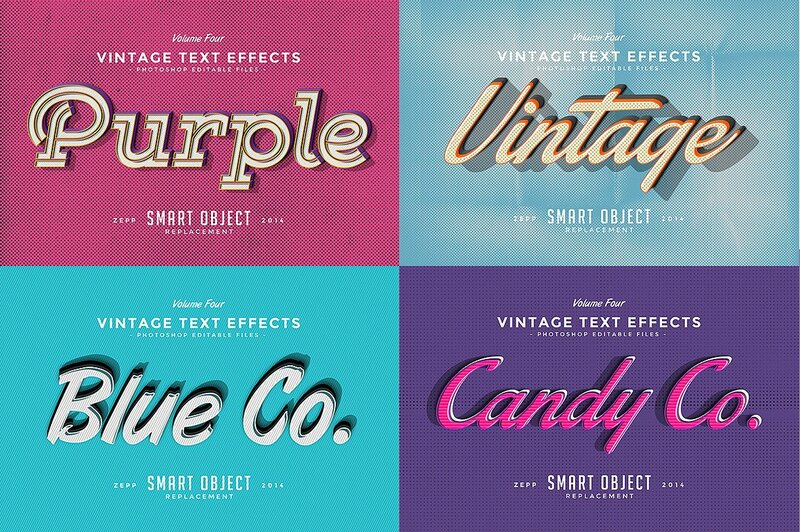 This set is a collection of eight actions for Adobe Illustrator capable of turning simple text lines into cool vintage full vector Text Effects, without any raster effects applied. The set includes three version of each action, optimized for many editions of Adobe Illustrator program, cause actions behave differently in each Edition. 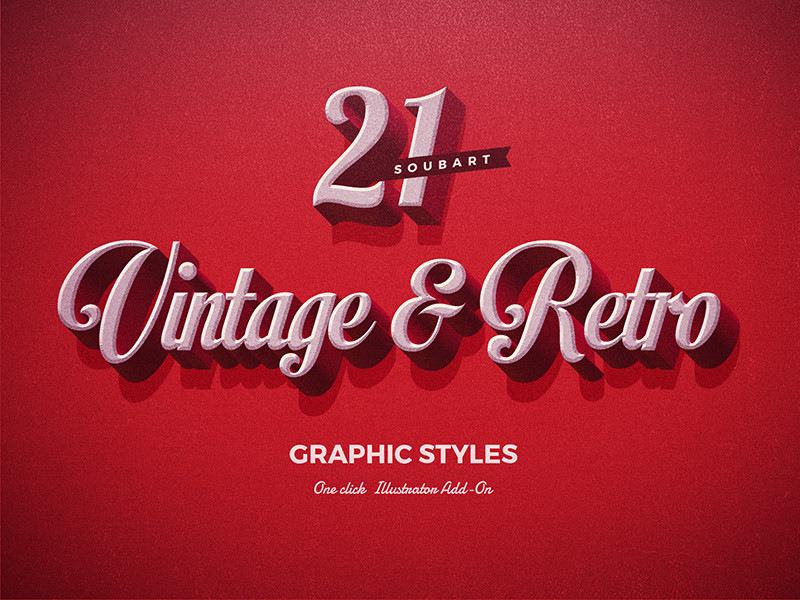 This graphic resource allows you to apply a retro / vintage style in your text, shape or logo vector. You just need to replace them into the Smart Object of your favorite style! 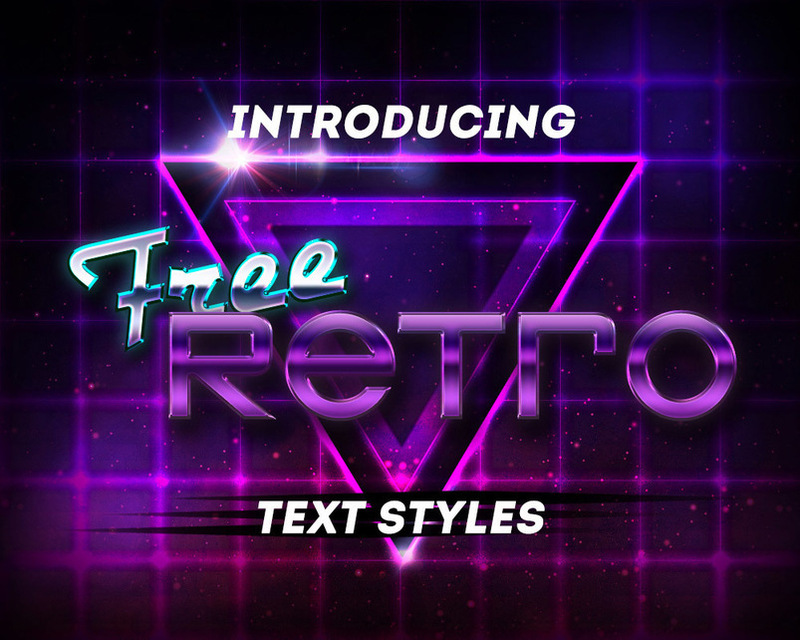 Each Retro Text Effect have been created with care with the finest details, all elements are clearly labeled and in organized folders. Beautiful 4 Text effects dedicated to the popular game Fallout. text styles done in retro vintage style, fans of the game should be like, it will be easy to make a poster or a cover for something else. 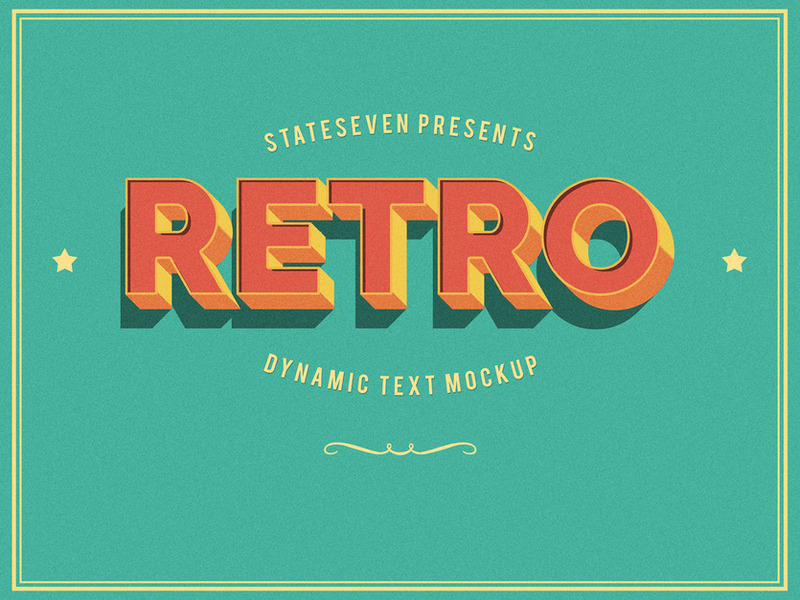 This .psd freebie lets you insert whatever text you want and it will instantly give it that retro feel you are looking for. Use it in any graphic design project you are working on, it’s free for personal or commercial use.